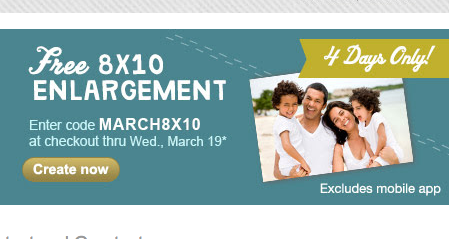 To celebrate the start of Spring, Walgreens is offering a FREE 8x10 photo enlargement when you use promotional code MARCH8X10 at check-out. Remember to choose store pick-up so that the entire order will be FREE. This offer expires on Wednesday, March 19, 2014.